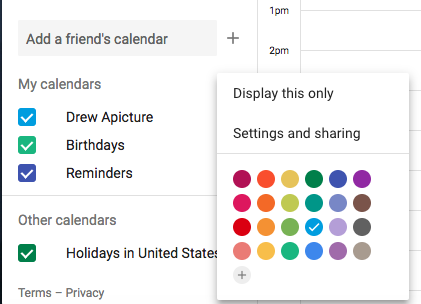 Follow these steps to share your Google calendar with someone else — so they can schedule events on your calendar. Under Permissions, set to Make changes to events. In the Meeting Templates section of your Mixmax dashboard, you can choose to schedule certain meeting templates on another calendar you have access to. 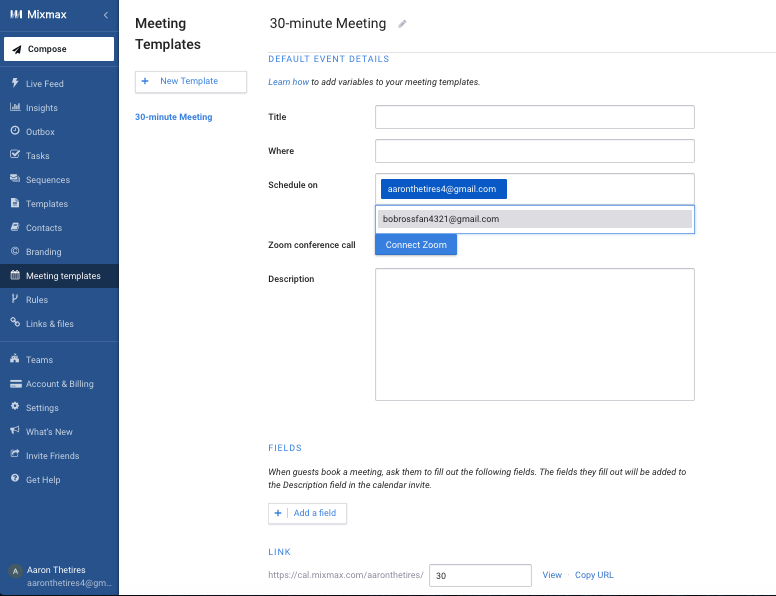 When you create the Meeting Template, scroll down to where you see Schedule on. 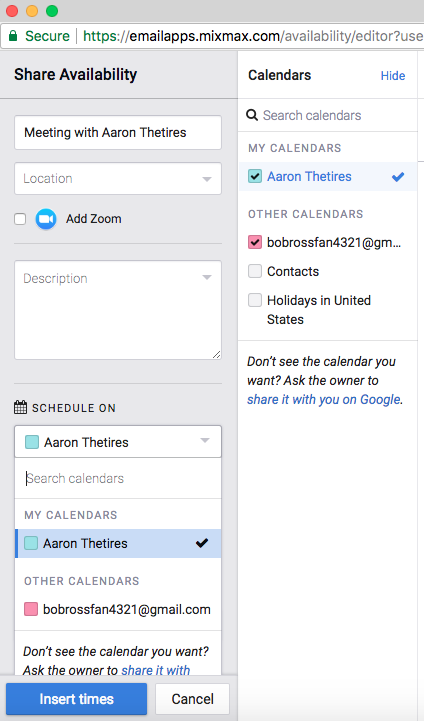 Select the calendar you'd like to schedule on by clicking on the option already selected. 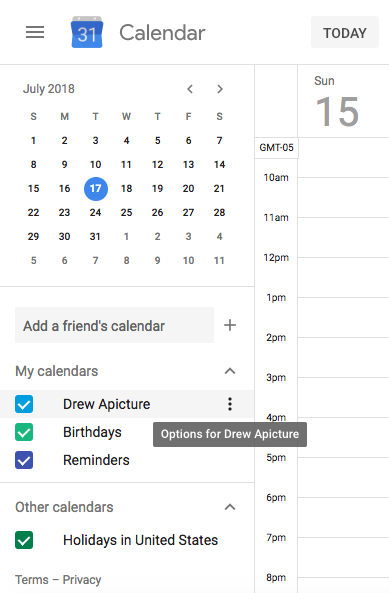 You'll then be able to choose which calendar to schedule on from the dropdown menu. Want more details? Check out the Google Support page on calendars.